Meghan graduated from the Animal Care program at Sheridan College. After her outstanding performance during her co-op placement with us, Meghan joined the Beattie Pet Hospital Ancaster Team in August 2017. 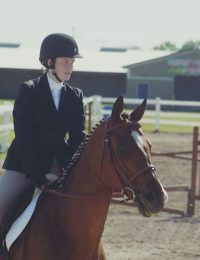 In her spare time, Meghan enjoys horseback riding, spending time with her cat, and walking her dog. Meghan also loves all things “skinny pig” and hopes to own some skinny pigs of her own one day.